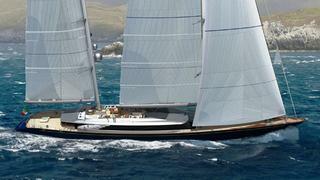 Perini Navi continues to buck industry trends, ending 2011 by signing a contract to build a new 70m sailing yacht, the second largest superyacht from the yard after the 88m Maltese Falcon, built in 2006. The new yacht, currently known as Hull C2227, is designed in-house with input from naval architect Philippe Briand and will exemplify the Perini Navi standards of innovation, technology and comfort. Interior layout is by the Perini Navi team in conjunction with the USA design studio PH Design and delivery is slated for 2015. The end of this year sees Perini Navi's order book standing at €170 million with six yachts sold and now under construction.